COMPANY OVERVIEW: Adorn by ashley specialises in creating bespoke Capes, Veils & Accessories for bold brides and their wedding party. 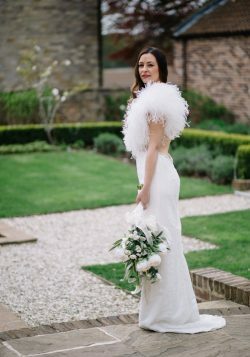 Using a fabulous range of textile and embroidery techniques, even the simplest of outfits can be Adorned with the wow factor to make you truly stand out as a unique bride. We work with you to create exactly what you imagine whether it be covered in the most delicate pearl Lilly of the valley or head to toe inthe most crazy of designs…its all possible ! 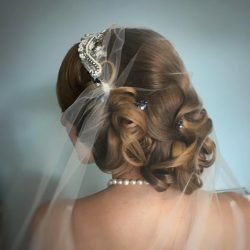 COMPANY OVERVIEW: Anna-Louise Adornments is a creator of luxury bridal and bridesmaid hair accessories. Each adornment is skilfully handmade using a mix of modern and vintage pieces which will complement any vintage and boho wedding. Anna-Louise endeavours to help any bride achieve their vision with her bespoke design services. COMPANY OVERVIEW: Atelier 19 is a new vintage inspired one stop wedding shop for the discerning bride who is looking for a unique wedding experience. Atelier of award winning designer Jan Knibbs alongside a collective of like minded designers and an eclectic mix of old and new curios including vintage jewellery and French brocante finds. 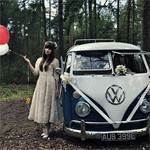 They also offer vintage hen parties, workshops, photo shoots and makeovers. COMPANY OVERVIEW: I create hand crafted button and bead bouquets, hair accessories, jewellery and garters for brides and bridesmaids, inspired by the vintage glamour of times gone by. 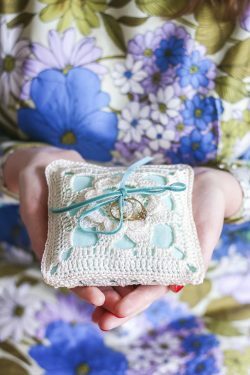 Each piece is individually designed and embellished with buttons, beads and other beautiful things to create a wonderful keepsake to remember your special day. COMPANY OVERVIEW: Award winning milliner Chloë Haywood, is often asked to design bespoke items for their clients, and is now pleased to offer a package that will suit you for your very special hen party - Fascinator Hen parties! As seen in Mollie Makes, Your Surrey Wedding, The Wedding Magazine, The Sunday Times, Time Out and more recently on the current series of HAIR on BBC 2. All materials and equipment provided and adaptable for all ages, and no craft experience required. COMPANY OVERVIEW: Crystal Heirlooms offers a unique collection of one-of-a-kind headdresses and bridal accessories, each individually designed and skilfully handcrafted around beautiful vintage jewels, lace and appliqués. Our bespoke design service is available for bridal and bridesmaids headdresses, sashes, feathery capelets and birdcage veils. We also offer a range of authentic vintage jewellery, Art Deco and vintage cufflinks and tie accessories, and wedding day originals. 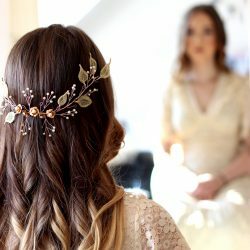 COMPANY OVERVIEW: Debbie Carlisle creates unique ethereal handmade wedding hair accessories with a bohemian contemporary edge. Her hair vines, combs and pins are inspired by the natural botanicals, vines and flowers of the English countryside and are designed to be mixed and matched to create your own unique look. COMPANY OVERVIEW: Flash Floozy is the home of unique bohemian and vintage inspired hair adornments. Creating oversized floral crowns and delicate flower garlands through to matching combs, hair pins and clips. COMPANY OVERVIEW: Glory Days Vintage offers a wide range of vintage bridal wear and accessories from all eras of the 20th Century – come and explore our shop to find vintage treasures from 60s minis and 50s prom dresses, to 30s jewellery and 70s chiffon wonders! Our hope is that in our vintage bridal boutique you’ll find the unique wedding dress of your dreams. COMPANY OVERVIEW: Hayley Hare Bridal is a bespoke couture wedding dress designer based in Manchester and Cheshire. With her help she offers you the chance to design your own one of a kind, unique wedding dress, individually designed to fit perfectly. Each gown is beautifully handcrafted by Hayley and her very talented team, using the finest silks and materials. 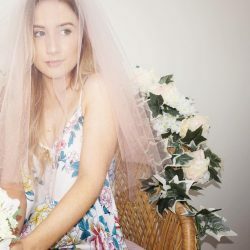 COMPANY OVERVIEW: Hobbits Vintage Creations are unique, bespoke, wedding/ bridal accessories, lovingly created from upcycled silks, lace and vintage jewellery. The business started as a creative hobby in 2011 from a love of connecting past and present with indivdiual designs inspired by original styles and given a special twist of their own. 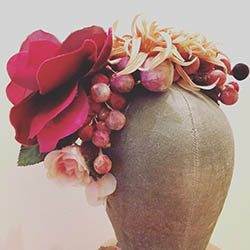 COMPANY OVERVIEW: Hope Bespoke lovingly design and create one of a kind Headpieces, Bouquets,Button-holes and Corsages for any special occasion.Capturing the beauty and glamour of a bygone era. COMPANY OVERVIEW: House of Satin sells beautiful handmade vintage lingerie reflecting the bygone days of glamour, decadence and romance. 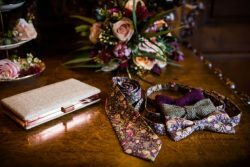 Groom, Bespoke Tweed Waistcoats, Ties & Bow Ties, Pocket squares. Featuring British Tweed and Liberty Cottons. 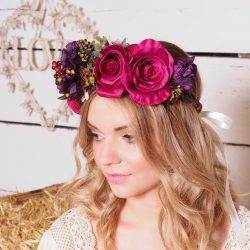 COMPANY OVERVIEW: A love of all things wedding and vintage, Knot & Bloom is a wedding accessories business specialising in vintage and handmade headdresses, combs and hair adornments. Tailored for the bride who wants to add a touch of vintage colour and theatrics to her wedding day, each piece is unique and a one-off. COMPANY OVERVIEW: Krausz Jewellery offers bespoke wedding and engagement rings with a vintage style. Krausz Vintage Collections feature one off headpieces, hair combs and jewellery made from original materials from the 1930s-1960s and fresh water pearls. Adding a touch of vintage style and quality to a contemporary wedding or party. 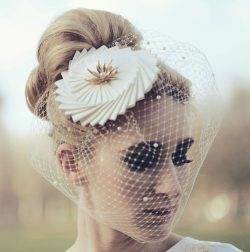 COMPANY OVERVIEW: I am a London based milliner who makes vintage inspired bridal hats, veils and head pieces, I also offer a bespoke service, and I can work closely with the bride to design a one off head piece to compliment your dress. Everything is handmade by me using traditional millinery techniques and with an attention to detail. I am inspired by the hats of the past and fashion from a bygone time. I love using ribbon techniques, vintage and antique brooches, lace and birdcage veils. I will happily search around to find the perfect trimmings for your beautiful bridal headpiece. I want the bride to enjoy wearing my head piece and take great pleasure in ensuring that she is happy and comfortable with the final piece. 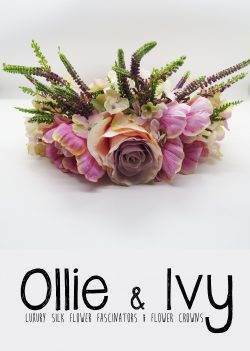 COMPANY OVERVIEW: We make Luxury silk flower fascinators & flower crowns for all celebrations and ceremonies. COMPANY OVERVIEW: Some people like to own and admire antique and vintage treasures and some people like to wear and use them. 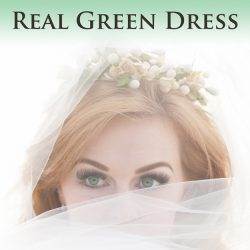 Whatever your reason for buying from us, for investment or pure pleasure, you can be assured Real Green Dress has drawn on decades of professional experience in conservation, curatorship and design. Every piece that passes through our studios is carefully examined and treated before being offered for sale. COMPANY OVERVIEW: Sakura is dedicated to vintage styling and darn right glamour in the form of bridal sashes, hair combs and shoe clips for the discerning bride and bridal party. All of these accessories can add a unique touch, texture or accent colour to a dress or be added for an evening event to mix up the styling. 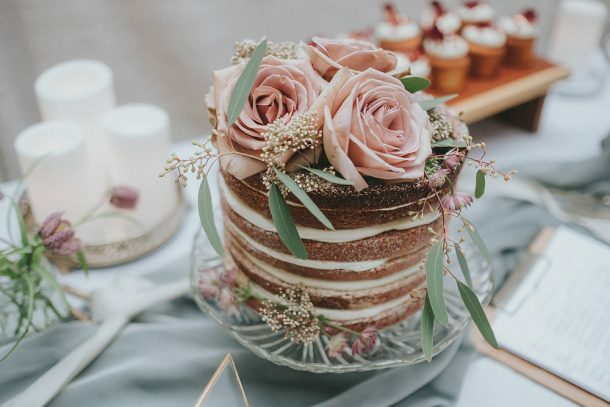 COMPANY OVERVIEW: Save My Bouquet literally saves brides bouquets from the waste bin by taking them directly from the bride (straight from their wedding venue if wished!) 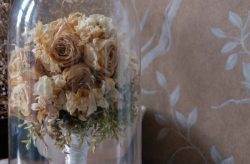 carefully drying them and finishing off by displaying them in a stylish Victorian style glass dome, hand delivering back to you an item that you can treasure for many years to come and doesn't look half bad on your dressing table or sideboard. 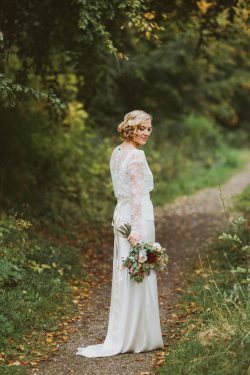 COMPANY OVERVIEW: Susanna Greening Designs recognises that each bride is unique and individual and therefore deserves a bespoke dress lovingly made with them in mind from start to finish, down to each special, little touch. 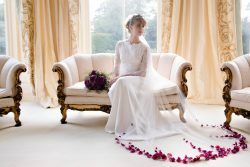 Using only the most luxurious silks, fabrics, lace and finishes- every dress is made to measure, fitted and created in our lovely studio in the beautiful Derbyshire countryside.​ As well as your dream dress SGD offer a full bespoke Bridesmaid service and 'mini maid' dresses for the little ones on your big day. For the men you can choose to have bespoke ties and beautiful waistcoats handcrafted using the finest fabrics and finishes. To finish off your outfit you can request a beautiful veil designed and made just for you to complement your dress perfectly. COMPANY OVERVIEW: T.ARA Bridal Accessories are handcrafted to perfection with couture detailing and ethereal charm to cherish for years to come. Many pieces feature original vintage, often combined with modern materials, offering timeless yet contemporary styled accessories. 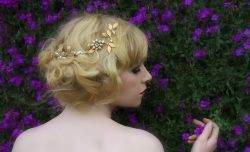 Shop and pre-order a selection of stunning bridal hair accessories, veils, tiaras, hair vines, combs and hairpins. T.ARA Bridal Accessories also offer a bespoke service to create wedding accessories of dreams for brides. COMPANY OVERVIEW: To Be Adorned's range of accessories includes birdcage veils and flower crowns, ring cushions and garters, all inspired by antique jewellery and vintage fashion. Each piece is handcrafted in Bristol and, where possible, vintage costume beads and lace are used to give the accessories an eco-friendly, one-of-a-kind heirloom quality. Shop online, or contact Becca about a custom piece. 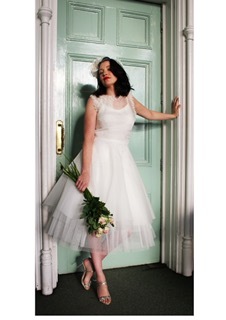 COMPANY OVERVIEW: Truly Vintage UK supply stunning “truly vintage” accessories to help you complete your dream outfit. With 35 years of experience they specialise in wedding pieces carefully selecting beautiful items and lovingly restoring them to their original beauty. 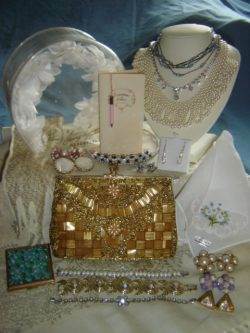 Whether for your own wedding, or just for your own collection, Truly Vintage UK will tempt you with genuine vintage jewellery, bags, tiaras, veils, gloves and other accessories. COMPANY OVERVIEW: Victoria Seraphina is a handmade sleepwear and lingerie online store, featuring exquisite bridal prices for wedding nights and honeymoons. All of our garments are inspired by the glamour of Old Hollywood and designed with beautiful vintage detailing in mind. Our collections are made in small batches and we offer a bespoke design/fitting service. COMPANY OVERVIEW: If you’ve ever dreamt of wearing earrings painted by the great Tintoretto, the famous Audrey Hepburn’s brooch that she wore in Breakfast at Tiffany’s or the most well-known tiara that the Empress Sissi had, this is your space. Vintage by Lopez-Linares are specialists in historic jewellery reproduction, all in silver, gold and semiprecious stones. We try to communicate through our jewels the passion we have for all vintage style. Come and have a look! COMPANY OVERVIEW: W Collective creates bespoke accessories for offbeat brides. We make fun, alternative veils and bridal capes that play with colour, texture and hand embellishing techniques, ensuring each piece is as unique as the bride who will be wearing it. You can customise every single detail to create your dream veil. COMPANY OVERVIEW: Dream Veils has been established for nearly 15 years and offers completely bespoke, handmade, stunning veils at incredible prices. There is a large collection of veils and capes in tulles or silks, including a range of Vintage style veils, birdcage veils, Mantillas, lace veils and even coloured tulles. 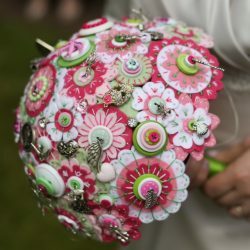 COMPANY OVERVIEW: Creator and Maker of quirky bouquets, buttonholes and accessories, for alternative and vintage couples. Flipside Bride is all about individuals. Not rebels, or cool kids, but REAL people. Everyday people, who just happen to want extraordinary weddings. COMPANY OVERVIEW: Gemma Sangwine Millinery and Headwear specialises in bespoke bridal tiaras, fascinators, vines and veils, bridesmaid hair clips and combs and hats for mother of the bride/groom. All pieces are handmade in my Cotswold studio using vintage, natural and recycled materials, ensuring each design is unique and reflects your taste and personality. The choices you and your partner make on your wedding day should reflect your personal style and your love for each other. I work closely with you to design hair accessories that are tailor made to suit you, working with your dress, hair style and face shape to flatter and emphasise your natural beauty. If you have a piece of heirloom jewellery, or an off-cut of lace or fabric you would like to use these can be incorporated into the design. For a fully coordinating package I can also make accessories for the bridesmaids, hats for the mums, as well as bridal belts and keepsake bouquets. Consultations can be done in person at my studio, or via email, post and phone for mail order commissions. The materials I use are ethically and sustainably sourced, including vintage costume jewellery and lace, vintage trims and feather plumes, millinery wool felts and sinamay (from the Abaca plant) and feathers from a licensed gamekeeper. All pieces are carefully and loving made by hand, stitched and wired together so they will become future heirlooms to be treasured for generations to come. COMPANY OVERVIEW: Accessory designer Heidi Reid designs exquisite wedding and special occasion accessories for women looking for accessories that help them express their style and individuality; women who understand that the right accessory can take an outfit from ordinary to extraordinary; who look for timeless, high quality accessories to complete their wedding day, or special occasion look. 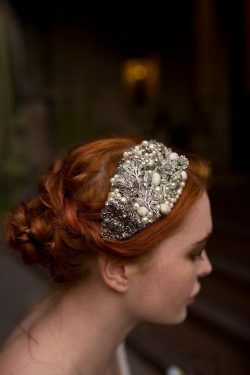 Working from her Cheshire studio, Heidi designs bespoke hair accessories to unique designs, using high end materials such as Swarovski Crystal, silver and gold, freshwater pearls, silver lined seed beads and diamante. COMPANY OVERVIEW: Nikki Stark makes elegant, simple fine jewellery in a small workshop just outside London. 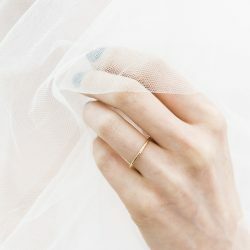 She offers a range of simple delicate pieces of her own design, supplies traditional bands and can also offer a bespoke service. The delicate scale of these pieces makes them a perfect complement to vintage engagement rings and more unique modern styles. COMPANY OVERVIEW: Silver Sixpence In Her Shoe is a small design studio handcrafting and reworking vintage wedding accessories, providing full bespoke consultation based pieces also. Established in 2010, we are based in Manchester but ship out worldwide from our online store. You can complete your wedding day look with one of our handmade garters and reconditioned lucky horseshoes. Our vintage wedding accessories are designed to be loved at first sight and cherished forever. Silver Sixpence ‘Craft it Yourself’ workshops are also available, the perfect activity for a hen party or weekend with friends. 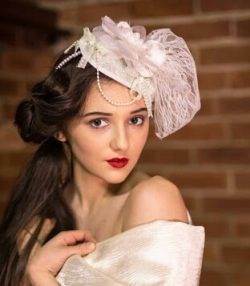 Nicola will guide you through the process of creating a beautiful, entirely bespoke vintage-inspired headpiece suitable for a wedding or special occasion. Silver Sixpence workshops can be run in the comfort of your own home or weekend accommodation or, if required, we can recommend a venue. All we need is a large table, enough room for your party to be able to work comfortably and a group of friends who intend to enjoy themselves! Our workshops are a fabulous way to have fun, get creative and involve your whole wedding party, from mums to younger bridesmaids. 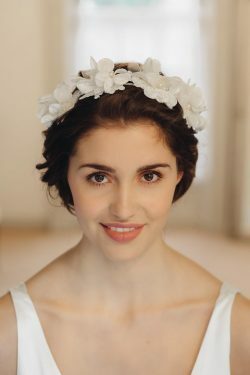 If headpieces aren't your thing why not opt for buttonholes or corsages for the wedding day or even a garter making workshop? COMPANY OVERVIEW: Stephanie Moran Couture offers a welcoming, individual experience for the modern bride and bridal party. Using knowledge and industry experience, Stephanie Moran Couture will help you create your personal bridal vision by exploring an exciting and diverse collection of couture fabrics and inspirational designs. Leaving each and every bride with the confidence to feel empowered in her gown and look breath-taking on her wedding day. COMPANY OVERVIEW: Vintage Wax Headbands makes vintage style headbands, hair combs and accessories. 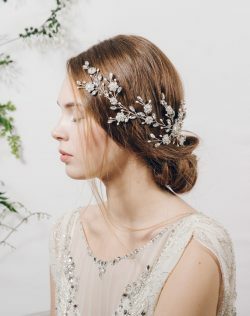 Inspired by Victorian and Edwardian bridal floral headpieces made of wax, each piece is individually hand-made and unique. You can buy readymade pieces for brides, bridesmaid, flower girls and wedding guests, or commission bespoke pieces just for you!